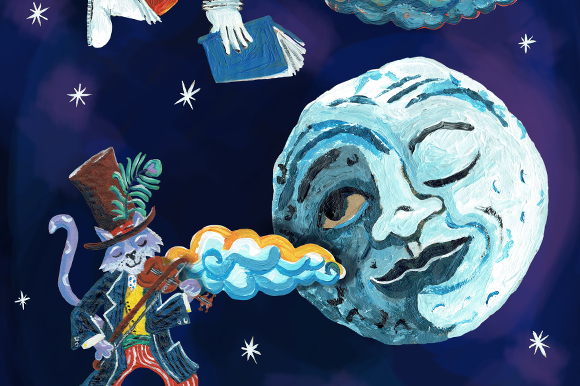 Hey Diddle Diddle is a hilarious adventure filled with music and puppetry created by Goblin Theatre, are an acclaimed theatre company who make shows for young people and families. This dazzling show comes to G Live on Saturday 3 November. 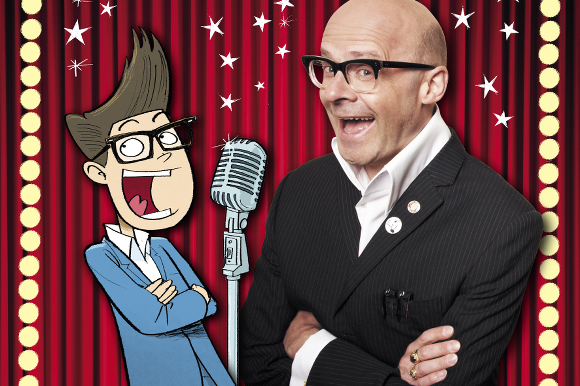 This brand new, family-fun-filled show, Harry Hill’s How To Be A Stand-Up (For Kids),is jam packed with jokes. Expect big laughs, practical tips and bucket loads of water silliness at G Live on Thursday 25 October. Tying in with the release of Matt Millz Stands Up, this sequel to Harry’s critically lauded kids’ book, Matt Millz, about the world’s youngest comedian who dreams of making it big is sure to be a hit with the whole family. So kids – bring your best jokes! And if you’re sitting near the front, bring your umbrella! Harry Hill is a national treasure who has created some of the most successful TV shows of the last two decades, including ITV’s Alien Fun Capsule and TV Burp and the voice of You’ve Been Framed. Harry is also known for collecting three BAFTAs, eight British Comedy Awards and a Golden Rose of Montreux along his comical journey. To add a bit of colour to the last days of the summer holidays, YO!, Japanese street food and sushi favourite, has announced that kids will eat free from the Mini Ninja’s Meal Deal. From today until 2nd September, when you dine in with katsu-crazy children 12 years and under, they’ll be able to grab a starter, main and drink for nothing! 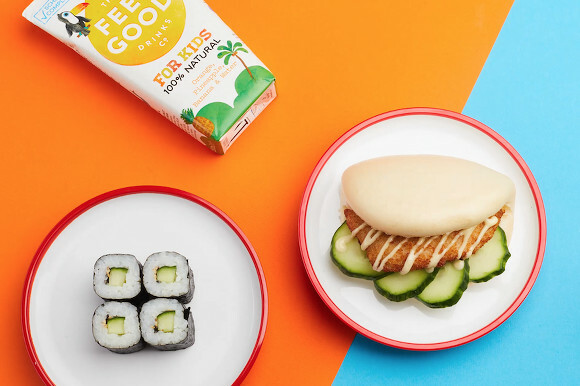 The Meal Deal usually worth £5.95 includes Popping Edamame Beans and Creamy Avocado Maki to start, followed by scrumptious mini versions of YO!’s favouries such as Tender Chicken Katsu Bao Bun and Tandy Veggie Yakisoba Noodles. Kids will be kept busy with fun colouring activities and quizzes on the menu, whilst they watch YO!’s expert chefs rustle up their lunch or dinner in the open-kitchen. So what are you waiting for… head to YO! today for a scrumptious feed for all the family! Please note that terms & conditions apply. This autumn, the LEGOLAND® Windsor Resort is making pre-school fun even more awesome with a ticket offer for weekday visits between 4 September and 1 November 2018*. With a DUPLO® DAYS Ticket, guests can get entry for an adult and a child under the age of five, for just £25. For an additional £5 per child, up to three friends (under the age of five years) can join the fun too. PLUS children under three years old get free entry. 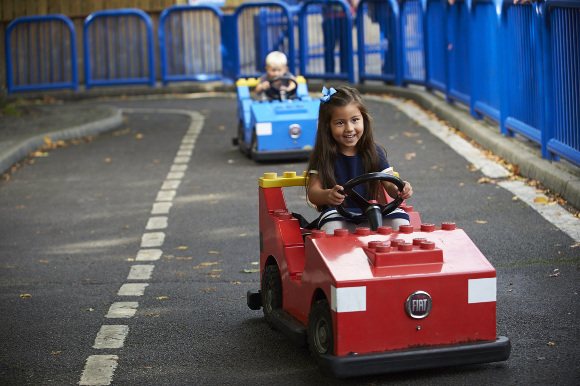 With the big kids back at school, the LEGOLAND Windsor Resort is a pre-schoolers paradise. Little ones can board the DUPLO Train, fly a helicopter or join the DUPLO Theatre Puppets for story time with Little Red Riding Hood, Rapunzel and the Elf and the Shoemaker on throughout the day. Little builders will love exploring the underwater world on Atlantis Submarine Voyage or taking a gentle boat ride around Fairy Tale Brook to see their fairy tale favourites - from Sleeping Beauty to Goldilocks and the Three Bears - brought to life in LEGO® bricks. For mild autumn days, there’s Splash Safari – with giant DUPLO animals and water fountains – the perfect place to splash and play. Plus, on 18-19, 30-31 October and 1 November, guests visiting with a DUPLO DAYS Ticket can join in the fun at Brick or Treat for a spook-tacular day out. There will be DUPLO pumpkin building, a daily fancy dress competition and costume characters Orange Brick, Frankie the friendly monster and Lord Vampyre will be on hand for meet and greets. The CBeebies favourites are brought to life in a brand new stage production full of fun, laughter, music and magical puppetry. Bing Live!is the perfect first theatre trip for pre-schoolers and their families. 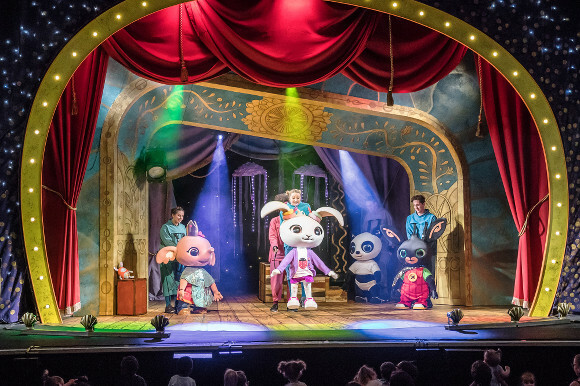 Andrew Collier, Creative Director of Minor Entertainment, said “We’re thrilled to be bringing Bing to the stage - we know families throughout the UK love Bingas much as we do, and we can’t wait to see children’s faces light up when they meet him at the theatre for the first time.